Grousbeck majored in economics at Amherst, but also completed a significant amount of psychology courses. When he first decided to attend Amherst, Grousbeck did not have a long trip ahead of him — he grew up about 30 minutes from the college, in Northampton, Massachusetts. After graduating from Deerfield Academy, an elite private high school in nearby Deerfield, the choice to matriculate to Amherst was easy. “Why would I go far away for school when I had such a great one nearby?” Grousbeck said. The decision was made even easier by the fact that the headmaster of Deerfield Academy at the time was an Amherst graduate. Attending Amherst “just seemed like the natural order of things,” Grousbeck said. Just like many students today, Grousbeck enrolled at the college with doubts about his major. He eventually decided on economics, but did not take any courses in the department until the spring of his sophomore year. He had begun the coursework for a major in psychology, and figured that he could finish up that curriculum as well. At the time, the college’s curriculum included juniors honors courses, six-credit classes that students took for their major, similar to the higher-level seminars the college offers today. Grousbeck went above and beyond, taking honors courses in both economics and psychology before eventually deciding upon economics major. Surprisingly, Grousbeck’s favorite professor came from outside both of his majors: the English department. Outside of the classroom, Grousbeck remained involved in many aspects of campus life, participating in three varsity sports (baseball, basketball and soccer), working for the OLIO and writing for The Amherst Student. He also held a job collecting tickets at campus events and concerts. Grousbeck said he enjoyed having such diverse experiences at Amherst. “It wasn’t in any one thing that really shaped my experience; it was being involved in a number of things, doing so many different things really contributed to it all,” he said. During his time at Amherst, he was also a member of the Alpha Delta Phi fraternity. He also appreciated the friendly student body. After graduating and spending some years away, Grousbeck did eventually return to his beloved campus, earning an honorary degree from the college at the 2000 commencement exercises. “I remember the day clearly, because it was pouring rain,” Grousbeck shared with a laugh. “It’s something very special. The college means a lot to me so for them to turn around and do that was a lovely gesture.” “I’m not sure if it was deserved,” he added good-humoredly. The qualities for which Grousbeck was lauded had already been manifesting themselves during the impressive years following his time at the college. From his graduation in 1956 to today, he has worked with numerous different companies in the capacity of board member or CEO. After receiving his MBA from Harvard, Grousbeck entered the job market, finding early employment with a few different companies. Entering established companies, however, was not what he had envisioned. “After doing that, I realized that I didn’t want to work for someone else’s company, I wanted to have my own,” he said. Grousbeck created his own company with fellow Amherst alum Amos B. Hostetter ’58. The startup was called Continental Cablevision (later known as Media One) and competed with other large cable companies already on the market. 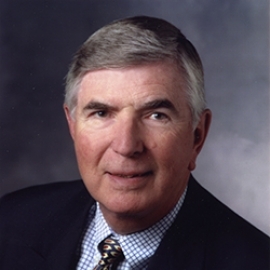 The pair started the company in 1964 and Grousbeck served as its president through 1980. Continental Cablevision was the spark that ignited Grousbeck’s entrepreneurial career, as he went on to work with many different non-profit and for-profit companies including Asurion Corporation, Response Link and the Boston Celtics. When asked about his work with the Celtics, he noted the importance of the fan base to the organization and, in turn, the importance of the organization to his own life. Was it this community ethic and determination that brought him to where he is today? He also continually praised the people around him who helped him reach the place he is in now. Grousbeck also mentioned “integrity and ethical dealing,” and said that honesty is important to him not only in business, but in all aspects of life. After his great successes in the business world, Grousbeck transitioned to teaching, which he continues to do today. He began his career at Harvard. When they originally offered him a position, he thought, “Now that doesn’t come along every day to everyone,” and knew to jump at the opportunity. “I knew I always wanted to teach after I was done with business, and I thought I should probably do it now or they might never ask me again,” he said. After his time at Harvard, Grousbeck made the move to Stanford, where he still works today. It was originally an “adventure” that Grousbeck assumed would end after one year. But now, 29 years later, he’s still there. “It’s very nice out here; I don’t have to shovel all of the snow,” he said with a laugh. Currently, he teaches two highly competitive courses at Stanford, one in the medical school and the other in the business school. It may come as a surprise that Grousbeck teaches at a medical school despite having no experience in medicine. However, his course is focuses on theory of interpersonal relationships, something of which he has a wealth of knowledge. The course is titled “Managing Difficult Conversations” and presents future doctors a number of difficult medical situations. His course in the business school, titled “Managing Growing Enterprises” is another hands-on class. It puts students into the role of CEO and teaches them how to work through sets of challenges in the field of business. When asked about his own setbacks throughout his business career, he first referenced his family. “I haven’t had any major personal ones. I’ve been married to the same person for a long time, we have four kids and none of them are in jail, so I’m doing well on the home front,” he said, chuckling. He quickly got back to business. Because Grousbeck’s courses are hands-on, the atmosphere of the classroom is one of active discussion. “There’s an old adage that a lecture is where the information goes from the notes of the professor to the notes of the student without passing through the brains of either one,” he said. “My philosophy is to try to engage the students in lively conversation that leads to insight and learning on their part,” he added. Grousbeck takes some of the qualities he found in his Amherst professors and applies them to his teaching style today. Grousbeck urges current Amherst students to find their passion and stay with it. “It’s not work; it’s play, if you love what you’re doing. I don’t consider coming to the office at Stanford work at all,” he said.